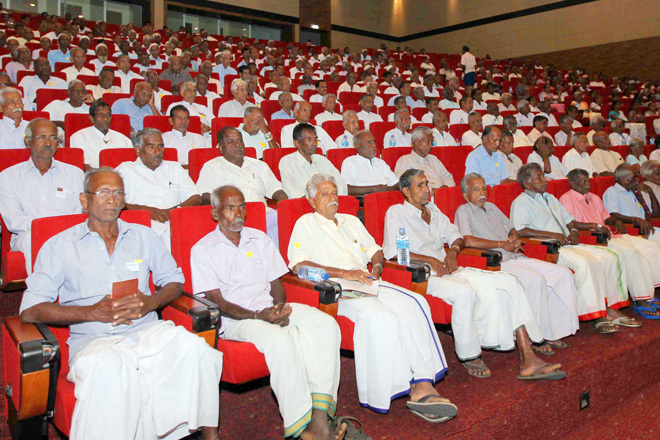 Oct 09, 2015 (LBO) – All elderly in Sri Lanka should have access to at least one reliable, affordable and adequate pension, economists said. “An adequate pension is essential to ensure income security for elderly, without being dependent,” Nisha Arunatilake of Institute of Policy Studies of Sri Lanka said. Highlighting the problems within the pension system she said 87 percent of the population between the ages of 15 and 59 are not covered by a pension scheme, and only 30 percent of the population above the age of 60 get a meaningful pension. The system in the island should be contributory and sustainable as the public sector pension system was mostly unfunded. The Employees Provident Fund could not be considered a pension scheme, they added. “In the very least the pension amount should keep a person out of poverty but the adequacy of a pension amount will depend on lifestyle,” Arunatilake said. Considered as income security for old age, there are 24 income support schemes which include the state’s Public Service Pension Scheme (PSPS) and the private sector’s Employee Provident Fund (EPF). There are also contributory pension schemes for the informal sector workers which include the Farmers Pension and Social Security Benefit Scheme (FMPS), Fishermen’s Pension and Social Security Benefit Scheme (FSHPS) and the Self-employed Persons Pension Scheme (SPPS). Other than for these there is a Public Assistance Monthly Allowance (PAMA), which provides an allowance to households whose monthly income falls below a minimum amount. Current and future taxpayers bear the burden of a non-contributory pension system, Nishan de Mel, the director of Verite Research said. The Employees Provident Fund (EPF) is the largest social security scheme in Sri Lanka, with a current asset base of 1.3 trillion rupees and 2.4 million active accounts. But it cannot be considered a pension scheme as it is not an annuity, Arunatillake said. It could be converted into an annuity if recipients use the proceeds in that manner. The effective coverage is estimated to be much less at 11 percent for the SPPS and 38 percent for the FMPS due to non-payment of dues in the contributory programs. Only estimated 1.7 million people were effectively covered by a pension scheme, she said. “Only the PSPS provides benefits greater than the poverty line. The average monthly pension for beneficiaries of PSPS ranged from 11,600 rupees to 16,800 rupees. Further, Arunatilake says that all informal sector pension programs define benefits in nominal terms. For example, she says the pension scheme for self-employed promises a 1,000 rupees pension benefit at retirement. A further 18 percent receive an old age allowance through the PAMA. According to Arunatilake only the 20 percent of the 60 plus persons who receive the public servants pension receive an adequate pension to keep them out of poverty. “The benefit amounts received by others are not adequate enough to keep them out of poverty, if they are solely dependent on the pension,” she said.